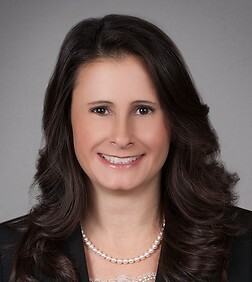 Ericka J. Schulz is a partner in the Intellectual Property Practice Group in the firm's San Diego (Del Mar) office. Ms. Schulz assists clients enforce their intellectual property rights, with an emphasis in litigating patent, trademark, copyright and trade secret disputes. She has considerable trial and pre-trial experience throughout the United State and in popular patent venues, such as Texas, Delaware, and California district courts, and the International Trade Commission (ITC). Ms. Schulz has a Masters in Electrical Engineering, and experience representing clients in many diverse technical fields including electrical, software, telecommunications, wireless devices, networking, optics, mechanical and medical devices. Ms. Schulz is also registered to practice before the U.S. Patent and Trademark Office (USPTO) and counsels clients in prosecuting patent and trademark applications, as well as patent reexaminations, or Inter Partes Reviews (IPRs). She also counsels clients on overall intellectual property protection strategies and conducts IP due diligence for corporate transactions. Prior to private practice, Ms. Schulz worked as an electrical engineer at WindRiver Systems, Inc. designing embedded systems for three years. Ms. Schulz also completed her Master’s Thesis at Lawrence Livermore National Laboratories involving a bio-medical software application for DNA microarrays. Ms. Schulz studied internationally in a number of countries including Japan, Brazil, Chile, Argentina and South Africa. "Using ‘Octane’ to Deter Nuisance Patent Suits," The Recorder, May 4, 2015.